Indian culture is rich and its philosophy is robust, deep and capable of providing convincing answers to all questions. Since explaining the details of advanced philosophy to a layman is very difficult, our ancestors have devised the method of cultivating rituals. Among such rituals is the process of worship. Images, charts of mystic diagrams, paintings, stones and gems have been prescribed for daily worship to the common man. 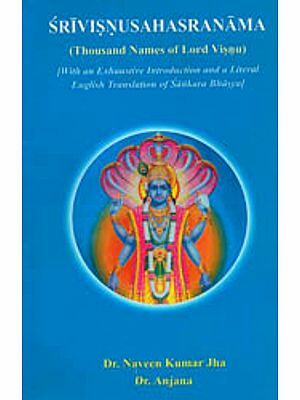 This book is an attempt to explain various forms of Vishnu and iconographical details of such images and also tries to bridge the gap between ritualistic approach to religion and the philosophical background of society. It is a guide to iconographic descriptions for the philosopher and a philosophical account for the simple devotee. This book is also a window into the evergreen forest of Indian narratives and is full of narratives related to Vishnu's avataras as well as popular tales associated with popular temples. Individual chapters have been dedicated to every form listed in the Shrimadbhagauata. 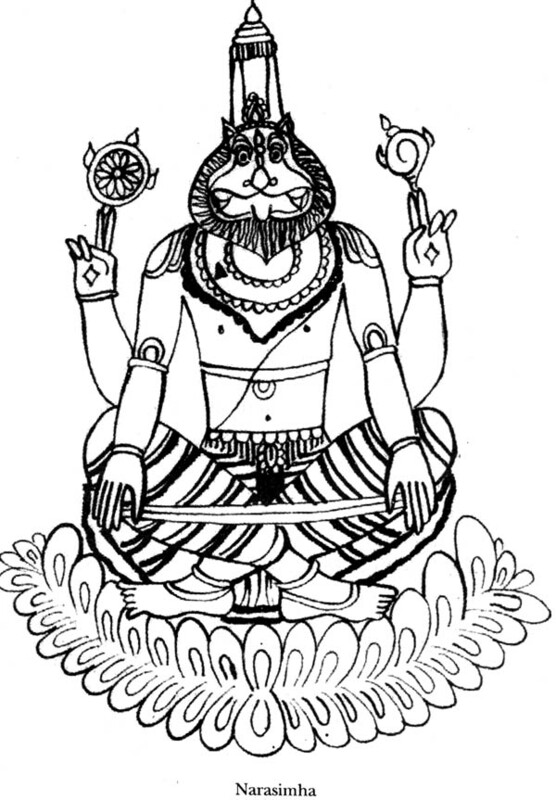 Details of iconographical proportions, interpretations of mudras, ayudhas, and bhangimas have been researched out of authoritative texts of Agamashastras and Shilpashastras. 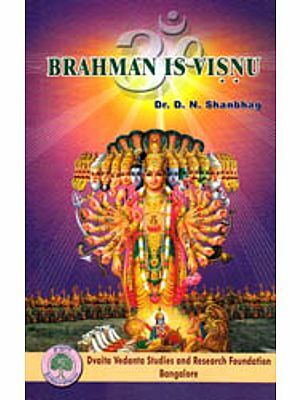 Many unknown forms of Vishnu like Badarayana, Shimshumara, and Gandabherunda have been included to widen readers' intellect. 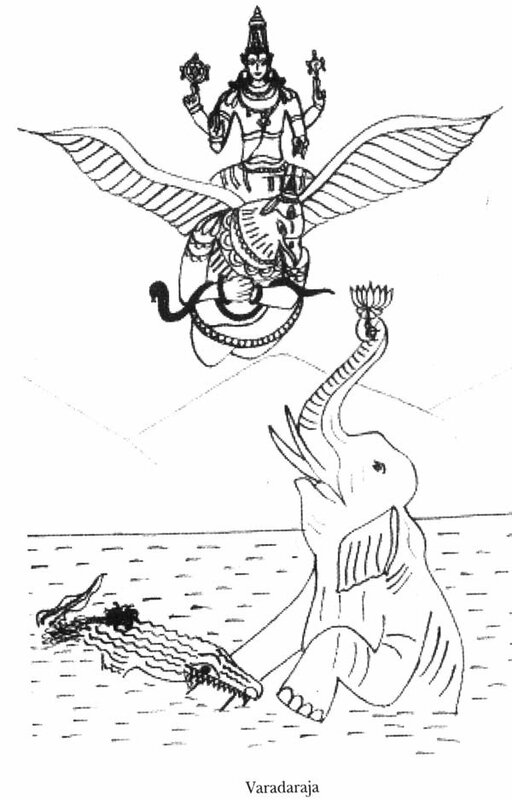 Besides these, Appendices 11 and III deal with Vishnu ayudhas and Vishnu pariuaara, respectively. As the title suggests, the book, however is small, but definitely, is a step toward the infinite. The author, S. Deepak Raj, is a multifaceted genius, having diverse interests in varied spheres of knowledge. Although a Computer Engineer by profession, teaching in an engineering college of repute in Bengaluru, he remains a seeker of the Absolute Truth--God! He believes that the ultimate goal of every living being is to attain freedom from the cycles of birth and death, and to attain moksha which is nothing but an experience of real bliss. His quest and indomitable thirst for knowledge has made him explore the limitless ocean of our ancient Indian texts-Agamashastras (Vedas), Shrimadbhagauata, Upanishads, Puranas, Tantra ocuments, Shilpashastras, etc. 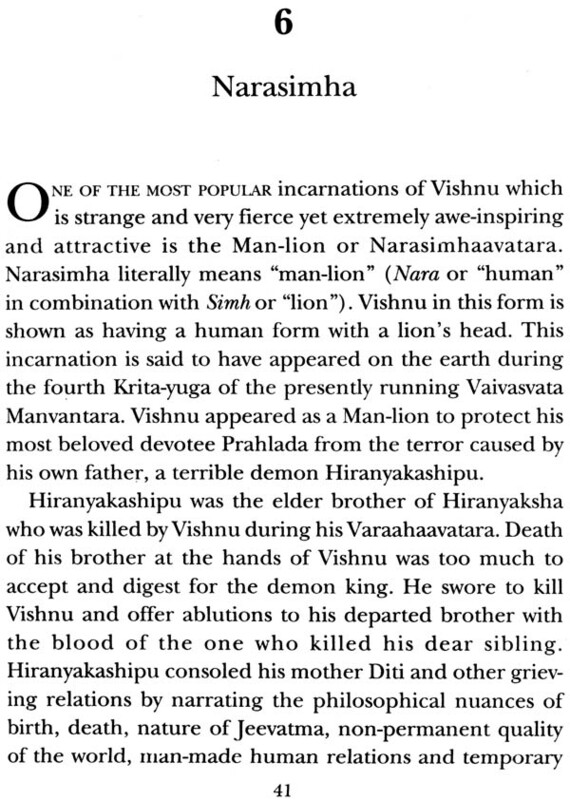 As an only child of very learned and pious parents, he has combined his acquired knowledge with the imbibed one through his growing years, weaving it into a golden fabric through his simple, yet effective narrative-in an attempt to introduce his favourite God and personal deity Vishnu, to the reader. 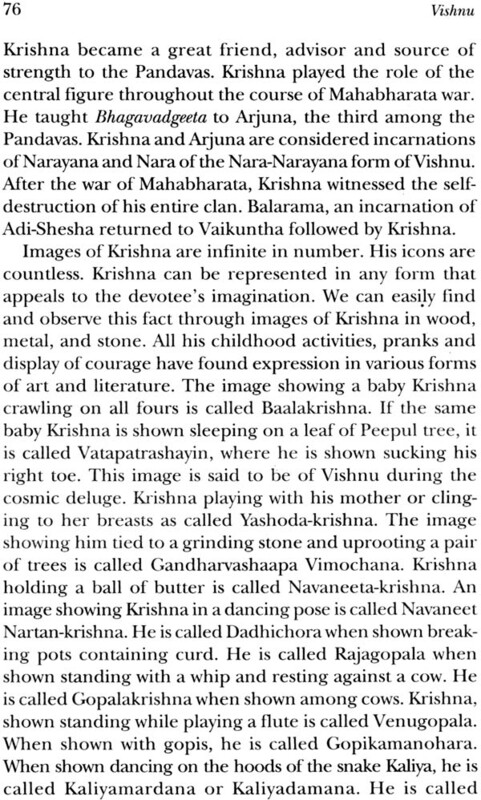 Yashoda once tried to tie Krishna to a grinding stone in an attempt to punish him for his mischief. 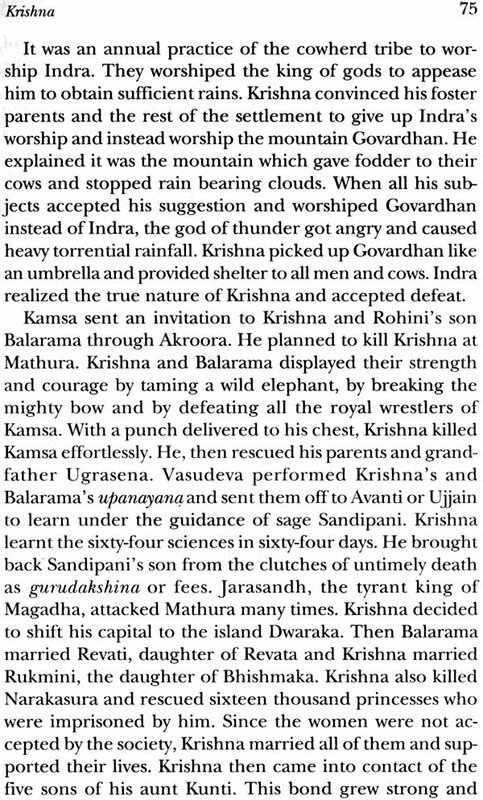 Krishna was then a boy in his early childhood. His waist was small and slender. Yashoda thought that a foot long rope would suffice and brought out of her cowshed a piece of rope used to tie a calf. She dragged Krishna out into the courtyard and wound the rope around his waist. To her astonishment, she found the rope an inch shorter than the required length to fasten the knot. She ran into the cowshed and brought out another piece of rope and joined it to the first one end to end and yet found the rope an inch shorter than the required length. This continued for some time and in the end freaked the wits out of her mind when all the rope in her cowshed fell short by an inch to tie Krishna. She then gave up and accepted her defeat. Until then her mind was under the notion that she was capable of binding Krishna and confine him to the grinding stone. For her he was a baby boy and no more. She had loved him, adored him and cared for him. Her affection was infinite. She had achieved all the first eight forms of Bhakti. The only want in her was that of the ninth form of devotion called Atmanivedana. The moment she gave up her efforts, realised her incapability and in a moment of exasperation lost her identity associated with ego, Krishna accepted her devotion and allowed himself to be bound. Yaslroda then tied Krishna to the grinding stone with the short piece of rope she had chosen first, effortlessly. When a refined devotee like Yashoda fell short of an inch of rope in binding the god, our attempts at understanding him or describing him are as good as nothing. If we thin1 we read, talk and write about him, it is our foolishness and nothing else. It is his wish that we carry out. If he feels like being born on earth, he chooses to do so, like he chose to be a son of Devaki, Yashoda, Satyavati or many such blessed souls. We are instruments in his hand. 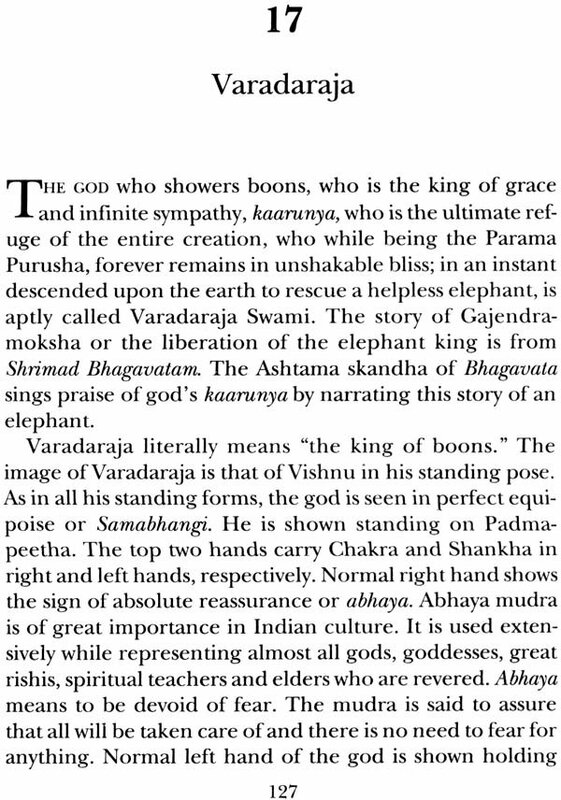 This book is an attempt to understand the infinite Vishnu. Our attempts and efforts in such a direction bear fruit only with his grace. It is hence right on my part to say that the book in your hands is a humble account of my search and learning aimed at understanding Vishnu. He is All-pervading and Encompassing. If I say I have written everything about him, then such a statement would be completely false. But with his grace, he may choose to appear in totality within a single syllable. So it is also wrong to say one can never know him completely through this book. The book is a mere medium, if he wishes, he can appear through it and bless a devotee like he appeared through a mere pillar and blessed Prahlad. The book deals with forms and incarnations of Vishnu. The chapters include iconographic details and stories. behind the avataras. Some bits of philosophies and ideas of devotion have also been written about wherever necessary. hope and pray this work will be useful a novice as well as an Informed reader equally well.